Purchase our Bootstrap products in a bundle and save. 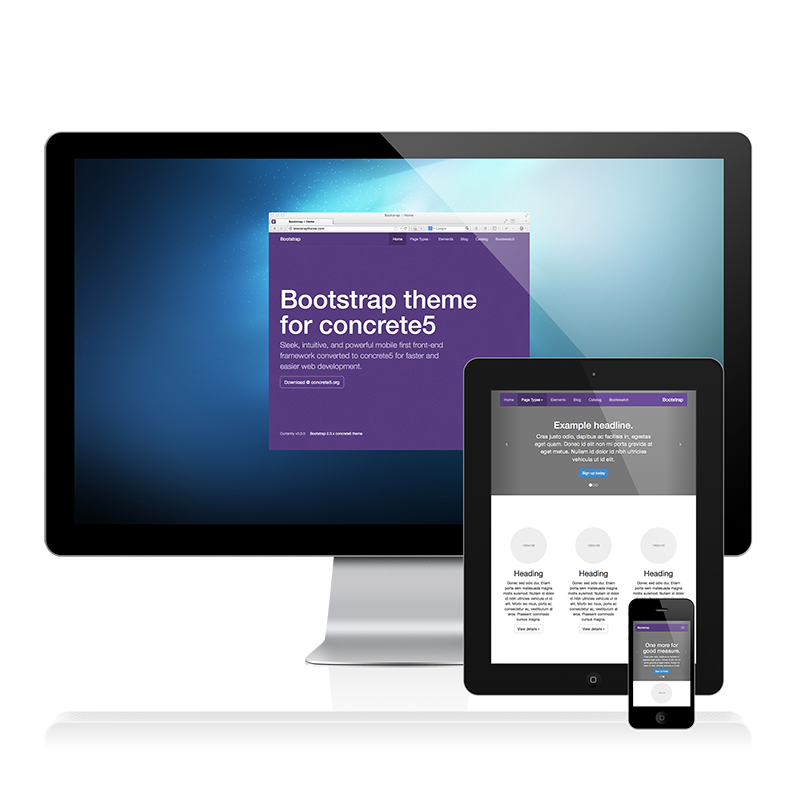 Bootstrap for concrete5 includes all 15 color schemes from Bootswatch. It can be set globally from a settings page available in the dashboard or on a per page basis. NOTE: The latest version of Bootstrap requires concrete5 version 5.6.2.1 or higher. If running concrete5 version 5.5.x you will be served an older version of the theme that does not include all of the latest features such as the dashboard settings page and bootswatch.